Many unanswered questions and suspicions continue to surround an accident which left one young man dead and another severely injured – placing friends and family of the victims in a long state of unrest. 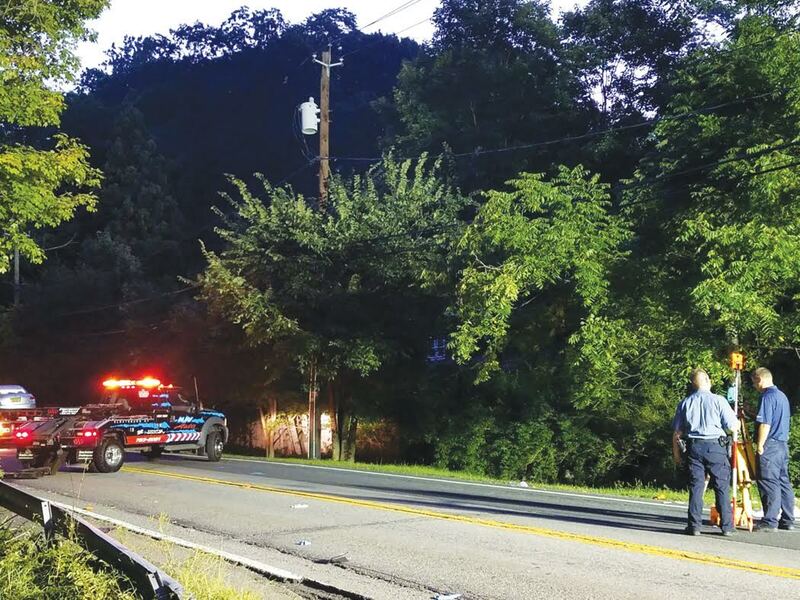 On September 7, 2016 off-duty Peekskill police officer and Suffern resident Jonathan Mosquera, as well as Tzvi Hakakian, were driving along State Route 202 near Haverstraw Road when they collided. While on the way to his night shift with the Peekskill Police Department, Mosquera side swiped Hakakian – who was turning left into the driveway of Yeshivat Tiferet Tora – while attempting to pass him in the left lane. Nineteen-year-old David Maldonado and 17-year-old Marcos Tawil were standing alongside the road near the Yeshivat when the accident occurred. Mosquera’s car struck the two young men before eventually landing in a ravine. Tawil died while in transport to Good Samaritan Hospital and Maldonado was left with severe injuries. 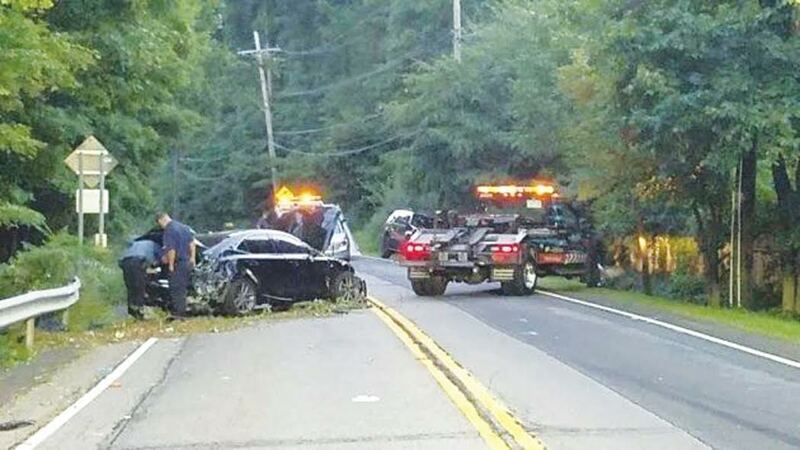 Ramapo Police Department investigated the accident, and photos of the scene as well as the police report show that an opened bottle of Hennessey Cognac was found in the trunk and prescription opioid painkillers – prescribed to treat a virus – were found in the car. Additionally, beer bottles were found lying not far Mosquera’s driver’s side door, but were never mentioned in the police report. Despite all of this, alco-sensor tests were not administered to either Mosquero or Hakakian, which WNBC’s investigative team found unusual. NBC reported this May that Ramapo Police Department has investigated six fatal accidents since 2011. Of these six investigations, there were only two incidents where an alco-sensor test was not administered – in one of these cases the driver died at the scene, and in another, Ramapo offi cers were unaware of the fatality until after they left the hospital and returned to the police station. While alco-sensor tests are not admissible in court, they do provide probable cause to conduct further sobriety tests, such as a breathalyzer or blood test. When NBC’s investigative team requested the accident report from the Ramapo Police Department, the offi cial copy sent by the Town of Ramapo blacked out any mention of alcohol and pills. Maldonado’s father as well as others in the community are perplexed that tests were not administered at a scene where alcohol and painkillers were discovered. Andrew Quinn, Mosquera’s attorney, supported this statement by releasing a statement of his own. “The accident was nothing more than that: a tragic accident,” Quinn told NBC. Still, many in the community wonder why an actual test was not administered. Herschel Kulefsky, an attorney representing David Maldonado, disagrees with Mosquera’s attorney and believes that this investigation let Mosquera go because he was a police officer. “You and me both know if this wasn’t a cop he would be in jail in two minutes,” said Kulefsky to the Peekskill Post. Ramapo Police Department determined that there was no criminal intent and did not issue any criminal charges against Mosquera. However, Mosquera was issued four summonses including speed in zone, speed not reasonable and prudent, moving from a lane unsafely and improper passing. Kulefsky said that according to Ramapo’s own police report, Mosquerta should have been issued passing in a no passing zone over two yellow lines and reckless driving as well. Weidel responded to Kulefsky’s accusations in a statement to Lohud. “While this accusation is without merit, any assertion of impropriety concerning our department is taken very seriously,” said Weidel. In the report, Mosquera tells the police that he got out of his car and started helping the young men. However, a witness who spoke to NBC’s investigative team, as well as Hakakian, both stated that Mosquera climbed out of the car and left the scene. Maldonado and other members of the community continue to push forward in the hope to find answers to the questions which remain unsettled.